Gov. 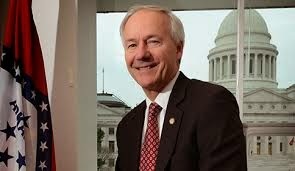 Asa Hutchinson asked state legislators to recall a Religious Freedom Restoration Act (RFRA), which the legislature sent to his desk earlier in the week, and amend it to reflect a more narrowly written federal law. On Wednesday, Hutchinson said the Arkansas law should be more narrowly tailored to reflect a 1993 RFRA passed by Congress and signed by President Clinton. Both legislative chambers passed a bill to those specifications, the Senate on Wednesday and the House on Thursday. The governor signed the bill into law late Thursday afternoon. This week, organizations and businesses, including Walmart, called on Hutchinson to veto the legislation, saying it would permit businesses to discriminate against LGBT people.